Ask anyone what gets them to reminisce about their home or heritage, and more often than not, it will be a smell, sound or taste. And so it is with Pooja Bavishi, the 33-year-old second-generation Indian American. 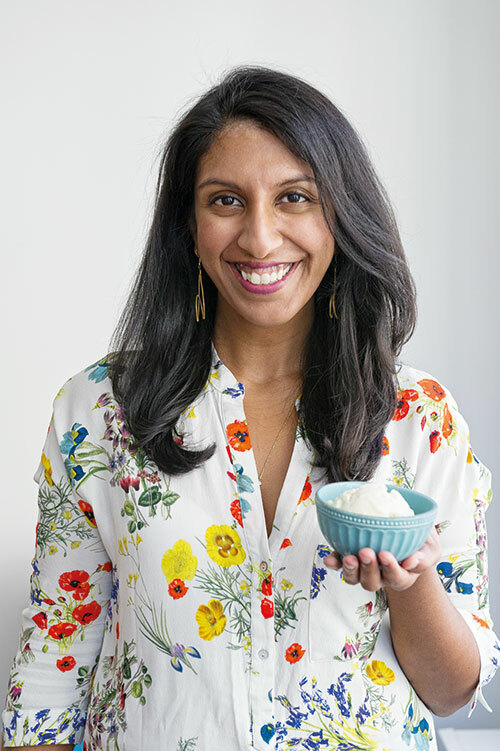 Hailing from Charlotte in North Carolina, the MBA-turned-food-entrepreneur grew up with the aroma of Indian spices and morning chai that emanated from her mother’s kitchen. 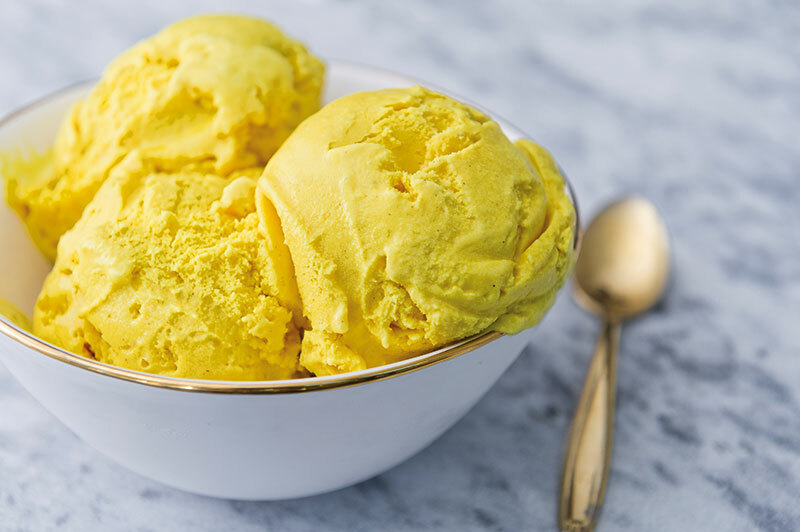 With a passion for making desserts and a love for her heritage, Bavishi embarked on her business journey two years ago, with her Brooklyn-based ice cream brand, Malai, which infuses Indian flavours into (almost) everyone’s favourite cold dessert. While it’s mainly the sound of the metal tea kettle closing shut after the chai is made and the aroma of mustard seeds frying (“It’s the distinct smell of typical, everyday cooking that gets me excited about what I am about to devour….”) that remind Bavishi about India, all her ice creams come from memory. 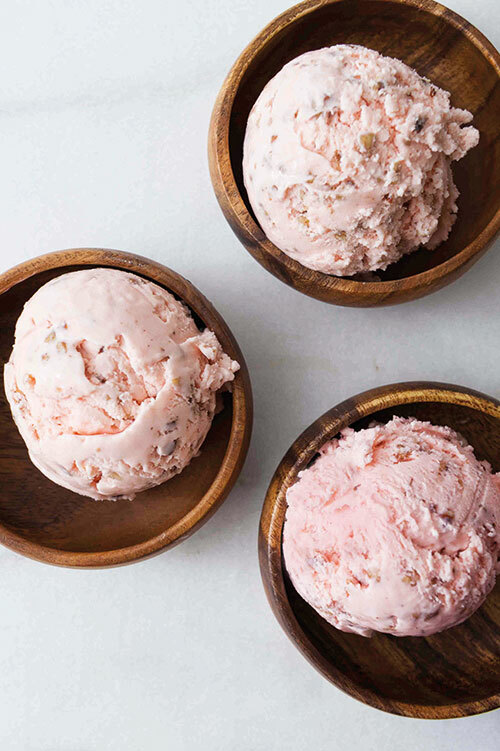 “I mostly pull something nostalgic from my childhood or upbringing, and recreate that in ice cream form. I know exactly what I would love to see in ice cream flavours. A great example is the toasted nutmeg. My family always makes kheer around Diwali time, and flavours it with nutmeg. I knew that I wanted that same flavour in ice cream, and made something from a spice that is common, but likely not found in ice creams. It’s actually quite wonderful to see someone taste something that I’ve created from my memories, and them having their own associations or reference points when they taste it,” explains Bavishi. Constantly experimenting with textures and ingredients, Bavishi loves to use spices in ways they’ve never been used before. 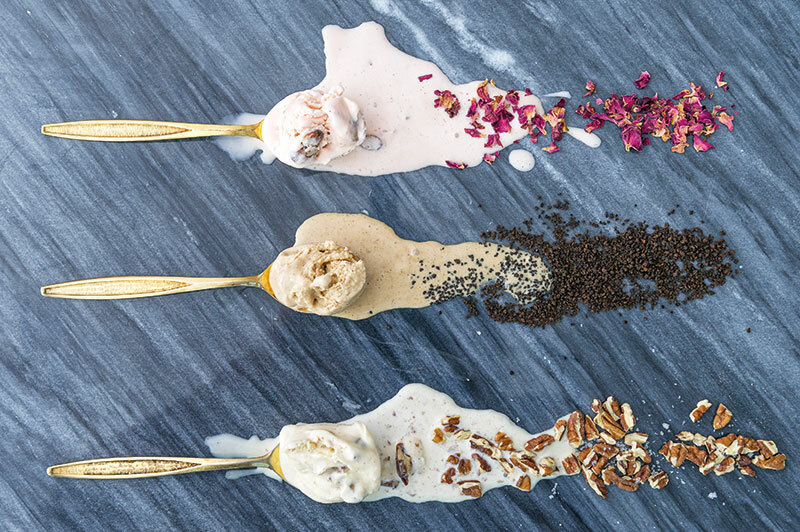 And many of her ice creams pair with cones from another small Brooklyn-based company, The Konery, adding a vibrant element to her offerings. 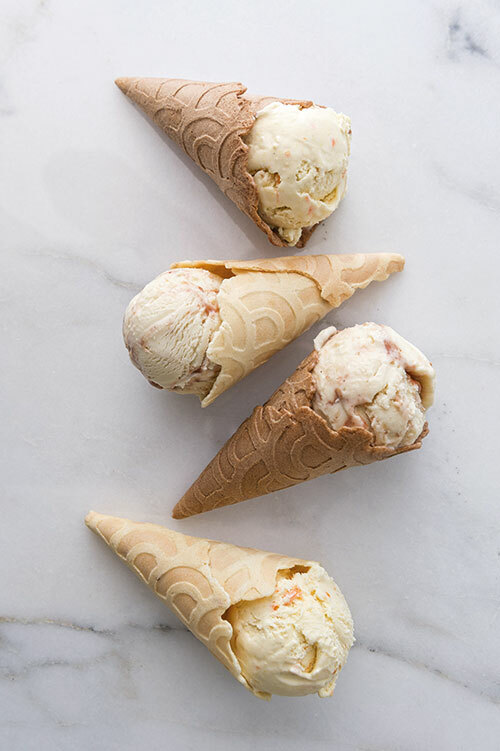 Currently using their cinnamon brown sugar, toasted coconut, five-spice and salted blue corn cones, Malai uses cardamom and lemon-ginger cones in rotation as well. “I love to recommend when asked (the rose with cinnamon roasted almonds in the toasted coconut cone is absolutely amazing), but customers usually know exactly what they want!” exclaims the New York University graduate. Visiting India every year, Bavishi grew up learning about the country through the language, stories she heard and, most importantly, the food. With parents who ventured from India to USA in pursuit of the American dream, she was always encouraged to identify and follow her own passions. While her parents and sister continue to guide her in her food journey and offer fresh perspectives on her work, it’s the aim to move higher and impact the industry that constantly keeps Bavishi going. “This experience has helped me to understand that I am a strong strategic leader, applying my skills to overcome basic challenges, such as familiarising myself with the food industry where I had no previous experience…. Malai represents both the steepest learning curve I have ever embarked on, and my greatest source of pride. 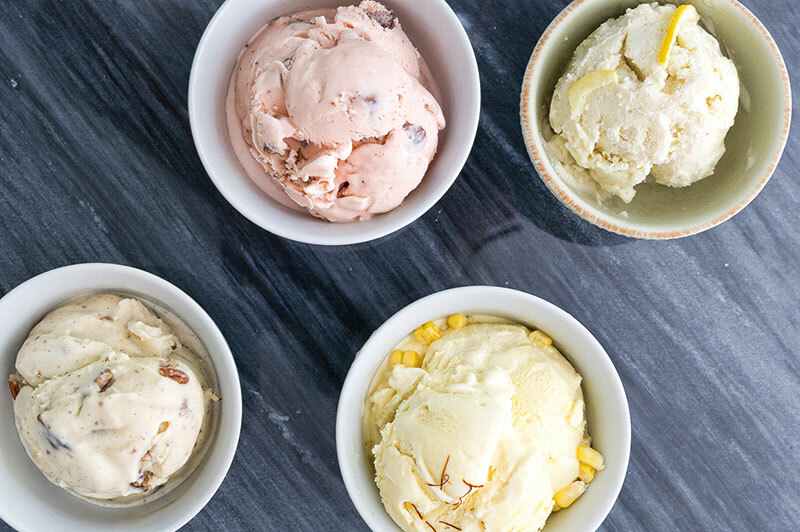 I know that this dichotomy of emotions will be ever present as I work to achieve my ultimate goal — to establish a globally recognised ice cream brand — but I am also confident that I am prepared to take what comes head-on,” she says with passion.